Wooohhooo… what a ride. Things move quickly lately. 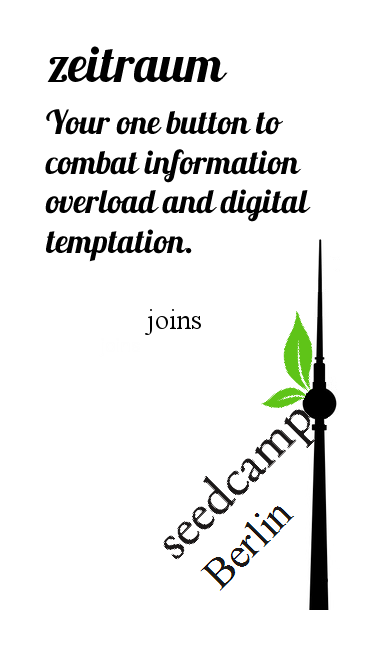 To give you a short update: we are now ‘zeitraum’ and we are very happy to join Seedcamp next week here in Berlin!